Drones have been causing panics these days. They spy on people in their homes, fall out of the sky without warning, and could be used for terrorist acts. Terrorists aren’t yet strapping bombs to drones, but they certainly could someday. And almost every government is not prepared. Within the last few years, hobbyists and mischief-makers have freely flown their drones into airports, blocking runways and stopping airplanes from landing or taking off. Airplanes trying to land are usually left circling. Some even get diverted to other airports before they run out of fuel. Nevertheless, the drones will continue hovering over the airports for hours or even days, leaving thousands of passengers stranded and governments confused. 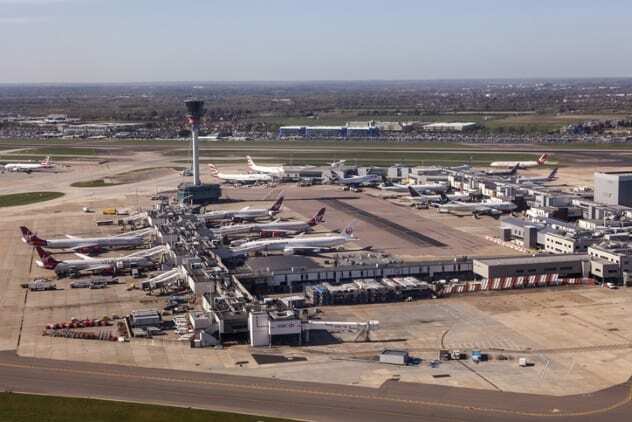 In May 2017, flights were diverted from Heathrow Airport in London after two drones flew into its airspace. However, there seems to be some disagreement over what the drones looked like and whether they were truly drones or something else. The objects remained immobile in the air and were not affected by the wind, even though it was windy. One of the drones was 1,680 meters (5,500 ft) in the air, while the other was at about 1,370 meters (4,500 ft.) An airplane could have collided with one of the two UFOs, which was between 500 and 800 meters (1,600–2,600 ft) away, since it was too small to activate the collision avoidance systems on the aircraft. Another pilot said the drones were 1.5 meters (5 ft) long, while yet another said they were 2 meters (6.6 ft). Some pilots doubted if the objects were UFOs or even drones. They suspected they were actually balloons, although they noted that the objects were too big to be typical children’s helium balloons. On September 19, 2018, Lisbon Airport was shut down (as in all flight operations were suspended) for 11 minutes after a drone was spotted hovering above its runway at around 11:00 PM. Ten airplanes circled above the airport throughout the shutdown. Two other airplanes were diverted to Faro Airport because they were low on fuel. Both airplanes carried roughly 300 passengers. The passengers diverted to Faro were lodged in hotels for the night and driven from there to Lisbon the next day. Police unsuccessfully searched for the drone and its controllers. The September 2018 incident is one of a series of drone incursions that have plagued Lisbon Airport since 2014. Its airspace was shut down for 26 minutes less than a month beforehand. Two other drone incursions had also been noted weeks earlier. In 2014, a drone came within 3 meters (10 ft) of a landing Portuguese Air Force aircraft. It only just managed to avoid a collision with the landing gear of the airplane. In another incident, a drone directed a laser beam at the cockpit of a landing airplane, injuring one of the pilots in the left eye. There were 150 passengers on board. 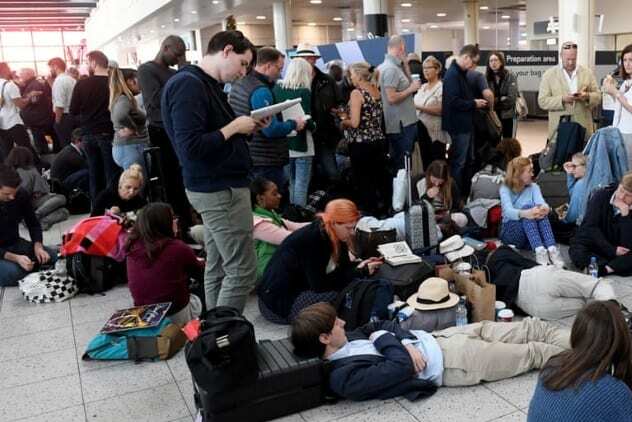 Between December 19 and 21, 2018, over 100,000 passengers were left stranded at Gatwick Airport in West Sussex after at least two drones prevented airplanes from landing or taking off. 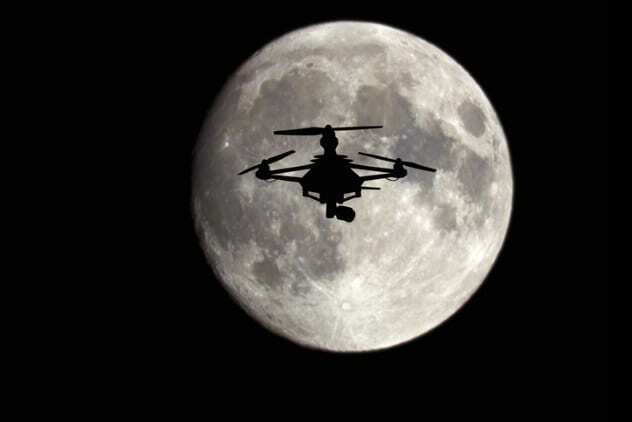 The drones were first spotted around the airport at 9:03 PM on December 19. And they continued appearing and disappearing until December 21. Civilian drones generally have limited flight times since they have smaller batteries. However, this incursion seems to have been a deliberate attempt to ground the airport, since the drones kept returning. The drones appeared bulkier than regular ones, making authorities believe they were modified with bigger batteries. Authorities also believe there could have been more than two drones. Some 120,000 passengers remained stranded at the airport during the shutdown. Several incoming flights were diverted to other airports, including ones in Amsterdam and Paris. Most airlines did not provide hotels for their stranded passengers and discouraged them from leaving the airport, since they could not determine when flights would resume. The rogue drones left the airport on December 21, when the military arrived with specialized jamming equipment. The airport was shut down for 36 hours. During that time, 837 flights were billed to take off. 160 were canceled, and the rest finally departed with most of the stranded passengers. Police later arrested two people in connection with the incident. Interestingly, this was not the first time Gatwick was shut down by drones. In July 2017, the airport was shut down twice on the same day. The first shutdown lasted for nine minutes after a drone was spotted around the airport. Flights resumed and were stopped again for five minutes. At least five flights were diverted to other airports, and several other airplanes continued circling while awaiting clearance to land. In January 2018, Ben Gurion Airport, Israel’s main airport, was shut down for ten minutes after a drone was spotted hovering above it. The drone was sighted at 7:20 PM one night. Curiously, US vice president Mike Pence had landed at the airport several hours earlier on a state visit. Drone incursion has remained a recurring problem for authorities at Ben Gurion Airport. A month earlier, the airport was shut down for 15 minutes after a drone was spotted hovering in the area. Similar incidents happened in November 2016 and sometime in 2015. The drone involved in the 2015 incident maneuvered close to an airplane, causing the pilots to turn away. The increased use of drones has exposed lapses in Israel’s national security. For a time, security agencies did not even know which of them were responsible for dealing with the drones. The army thought it should be the police, since it involved civilians. The police thought it was the army, which had the task of securing Israel’s airspace. 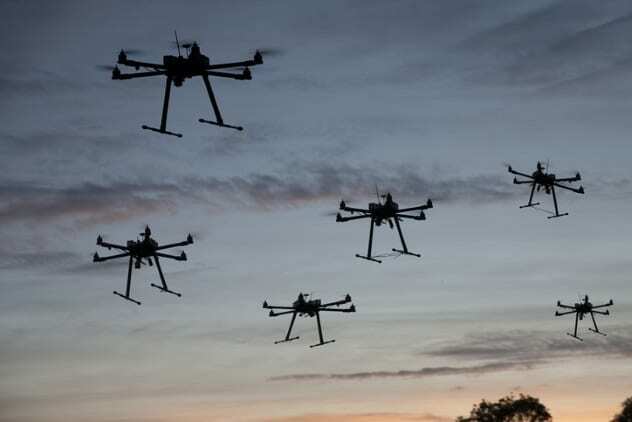 The government later set up an anti-drone task force headed by the air force. In August 2017, Indira Gandhi International Airport in Delhi, India, was shut down for a total of almost two hours. Runways were closed from 11:20 AM to 12:20 PM when the pilots of an international flight informed authorities that they’d spotted a drone as they prepared to land. Flight operations were also suspended for 40 minutes that evening, once again after pilots spotted a drone hovering around the airport as they prepared to land. The pilots said the drone flew toward their airplane. The airport was reopened at 7:55 PM, when police determined that the airspace was clear. 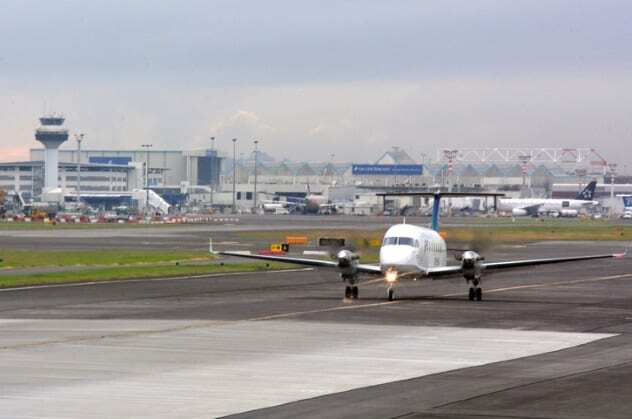 At least four passenger flights were diverted to other airports during the shutdowns. 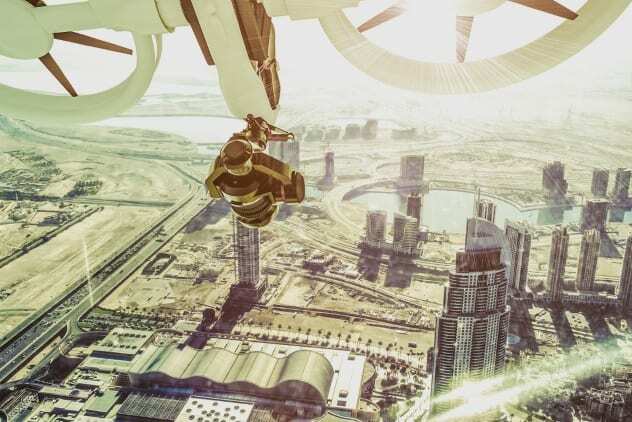 In June 2018, Dubai International Airport was shut down for over an hour after a rogue civilian drone was spotted hovering overhead. At least 21 flights were diverted to other airports while the shutdown lasted. Exactly two years earlier, the airspace was closed for 69 minutes when a rogue drone was spotted in the vicinity. Twenty-two flights were diverted during the shutdown, and that wasn’t the only time a drone disrupted operations at the airport that year. Considering that Dubai International Airport is the world’s busiest for international travel, shutdowns are logistical nightmares and cost a lot of money. The airport loses 350,000 dirhams ($95,368) for every minute it is shut down because of a drone. The drone-related shutdowns experienced throughout 2016 cost the airport a total of 61 million dirhams ($16.62 million). Drones are such a problem that the General Civil Aviation Authority declared the airport one of the four areas of the country where drones are not allowed. The ban was the result of a shutdown in 2017 and was passed just two months before the June 2018 shutdown. In August 2017, Sweden’s Stockholm Arlanda Airport was shut down for an hour after a drone was spotted hovering in its airspace. Airplanes continued to circle while they awaited clearance to land. However, two aircraft were cleared to land when they ran low on fuel. 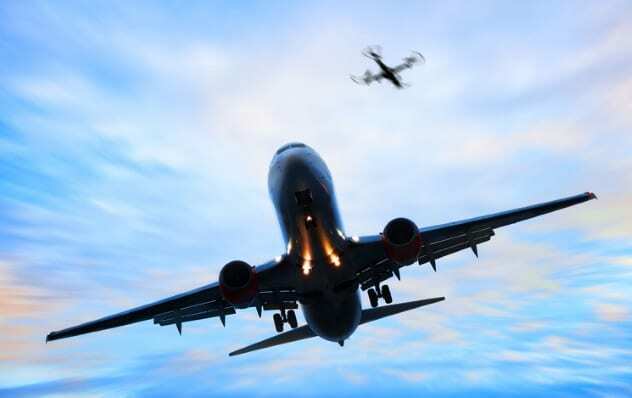 Drone incursions are such a problem at Stockholm Arlanda Airport that a Swedish pilots’ union advised members to always fly to the airport with extra fuel, just in case a drone was spotted before they landed. Swedish law demands that an airport be shut down when a drone enters its control zone. The shutdown will last for at least 30 minutes or until the drone lands. In August 2017 alone, the airport was shut down four times because of drones. Two, including the one we already mentioned, happened in the same week. The same month, Stockholm Bromma Airport was shut down thrice for the same reason. On April 20, 2017, Ireland’s Cork Airport was shut down for between ten and 15 minutes after a drone was spotted flying in its airspace at 9:45 AM. Two airplanes circled above the airport until the drone disappeared from view. 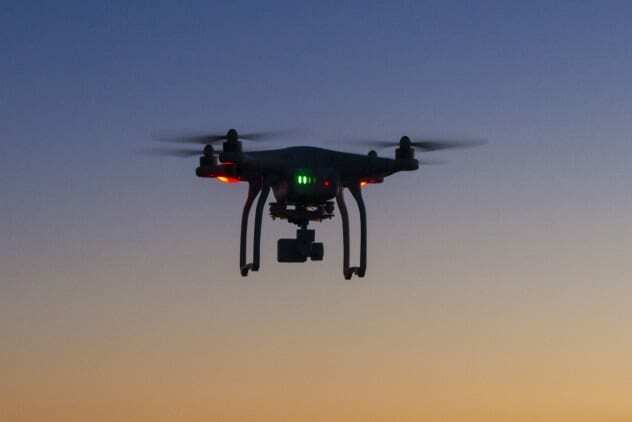 Air traffic controllers later cleared the airplanes to land but, suspecting the drone could still be around, advised pilots to approach “with caution.” Police searched the vicinity of the airport after the incident but could not find the rogue drone or its operator. 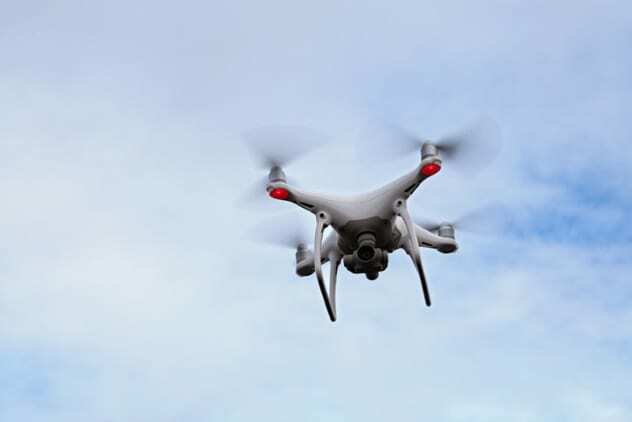 In November 2018, the airspace over Wellington International Airport in New Zealand was closed after a drone was spotted hovering less than 3 kilometers (1.9 mi) from its runway. The drone was just 200 meters (656 ft) from the ground at the time and was spotted by an airplane as it landed at 6:32 PM that evening. Pilots on airplanes preparing to take off reported seeing the drone and even watched it hover around the airport for 23 minutes before leaving. However, the airport wasn’t reopened until 7:10 PM. Several airplanes circled above throughout the shutdown, and ten more aircraft on the ground were delayed from taking off. In March 2018, several flights were delayed from landing and taking off at New Zealand’s Auckland Airport after a drone was spotted hovering in the area. It was reopened 30 minutes after the shutdown, when it was determined that the drone had left. A helicopter deployed to find the drone was unsuccessful. Twenty airplanes circled above the airport during the shutdown. A flight from Tokyo was diverted to an Air Force base 500 kilometers (800 mi) away, where it refueled before returning to Auckland. Another shutdown occurred in April 2018, when another drone was spotted. It was reopened six minutes later when authorities discovered that the drone was actually a balloon. The airport was partially shut down yet again in August 2018 when a drone was spotted flying 12 kilometers (7.5 mi) away. However, it was quickly reopened when it was determined that the drone was no longer a threat. 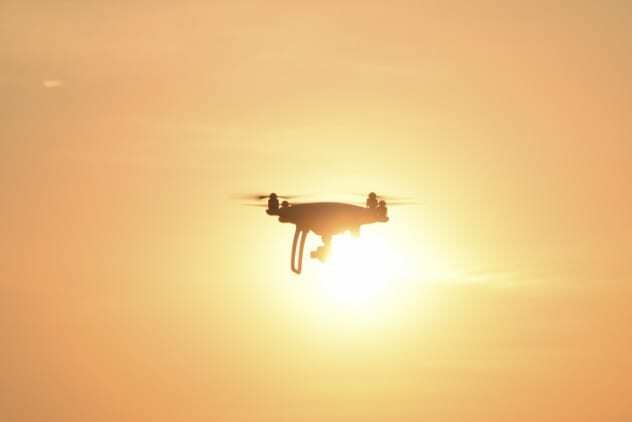 Read about more bizarre uses for drones on 10 Crazy Things Drones Are Being Used For Right Now and 10 Secrets Of Drone Archaeology.